The Netgear CM400 cable modem gets up to maximum download speeds of 340Mbps. This is slower than the CM500 model and if you’d like the built-in Wi-Fi look into the Netgear C3000. This modem also is simplified with one Gigabit Ethernet port, no USB ports or phone capabilities. 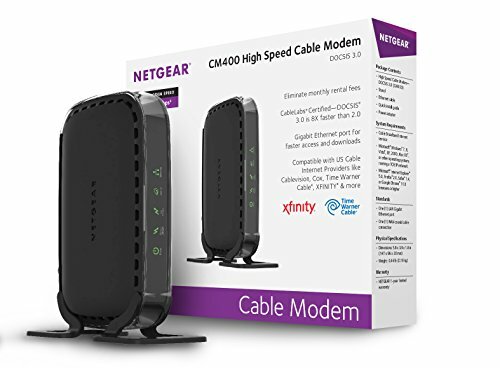 The CM400 is ideal if you’re looking to get into the reliable Netgear brand and are looking for a simple modem to replace your rental.